It was a long night that last night before he was born the next morning. We had dinner with Lynda’s Mom and Dad, and then spent some time with long-time high school friends, who also were the best man and maid-of-honor in our wedding, and our soon-to-be-born child’s Godparents. And who today remain two of our dearest friends. But that morning, of course, is one never forgotten. As the sun broke on that clear, crisp day those many years ago, it filled every unsuspecting available crevice and crook around us with hope, as we waited for word of his birth. We prayed for Lynda as we knew these would be some difficult and painful hours for her, but which she would gladly and proudly give for him-a harbinger of the depth of her love for him in the years to come. Every now and then the thought as to whether I would have enough money from our nominal savings accumulated while in the US Air Force would be enough to pay for the hospital and doctors’ bills. And then the word we anxiously awaited came. As the nurse introduced us to our son, I noticed that his new armband memorialized his birth at 10:54 a.m. on what was now an even more glorious Sunday morning on that February 9th day. 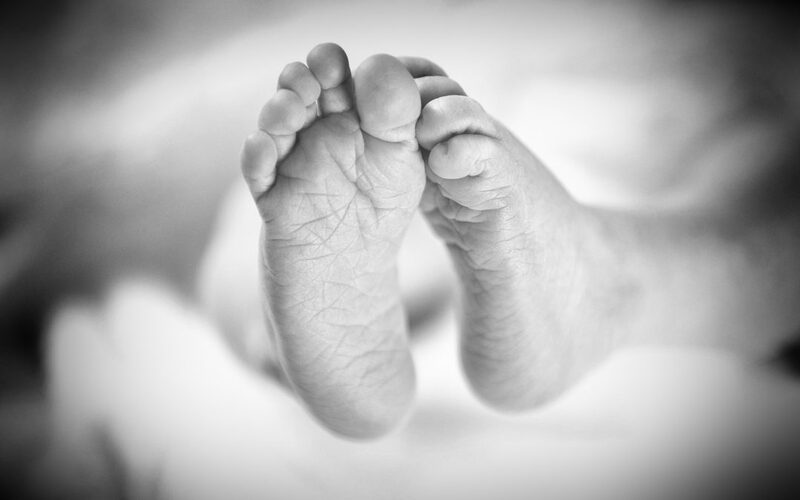 After telling his Grandma, Granddaddy, Godparents and me not to touch him just yet, the nurse announced that the precious little boy in her arms weighed a very conservative 7 pounds, 5½ ounces and measured 20 ½ inches long. The perfect size and stature for whoever he would become, I remember thinking. God blessed us with a son who is smarter than me, has a kind and gentle spirit, is unselfish and sacrificial, and has a desire to lift others even if they end up coming out ahead of him. And who would have guessed that fifty years later that young man, born that morning, and I, would be sharing thoughts and professional adventures in a variety of venues and ventures. He is an accomplished man in so many ways. He has proven himself as a gifted, passionate and compelling author. His gentle, Christ-like nature engenders a positive impact on the lives of so many around him-including those of us close at hand. Always inclusive, always giving a hand up to someone, and always sensitive to the plight of the down-and-out amongst us-he is one of the most deserving of a word of affirmation and thanks. He is a comfort to those around him, is always looking to help someone, to lift their life-his bride, daughters, parents, friends, and acquaintances-to become all they can be, and all they were created to be. And Saturday, February 9, 2019, was his birthday. We are grateful for the life of our son, entrusted to us by God over fifty years ago. A son who always does his best to bring glory to God, and honor to his parents, family and friends. Thanks to you, our son, for always being who you are, and living to be who God made you to be. Thanks for being a rudder in the lives of those you love-and who love you. Thanks for forgiving some of us when we don’t always show you how much we love you, or when we let you down, and are less than we should be. And thanks for being the example of how we should live in this world for others. And thank you, Lord, for creating him special, precious and unique, and introducing us to him months later at 10:54 a.m. on that great Sunday of February 9, 1969, and then sending him into the world to be light to others-His light. 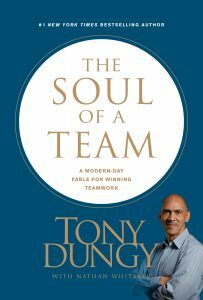 By the way-the newest book written by Tony Dungy and our son, Nathan, has just become available-The Soul of a Team – A Modern Day Fable for Winning Teamwork. It is an incredible book, their first book of fiction. You can find it at your local bookstore-Books-A-Million, Barnes and Noble, and others, or at Amazon.com. Copyright, Impact for Living. All rights reserved.